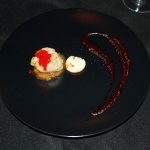 It is always a pleasant surprise when we encounter gourmet fare in unlikely places. 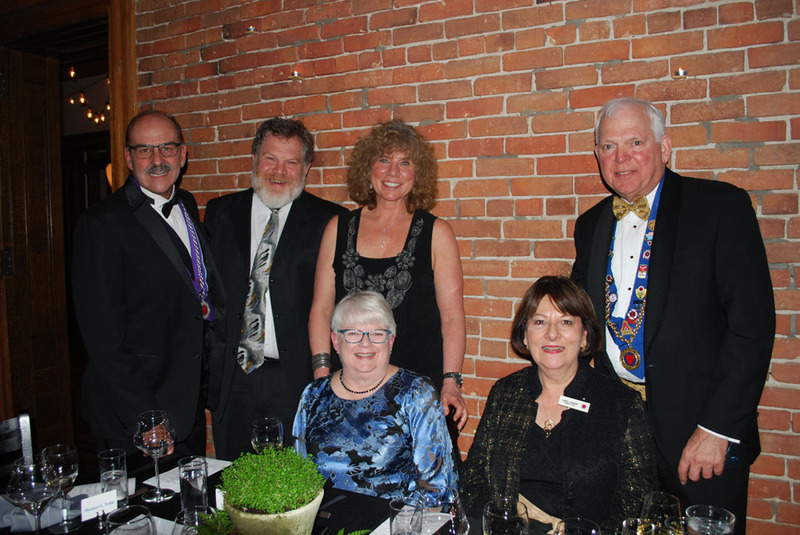 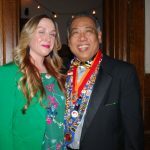 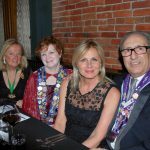 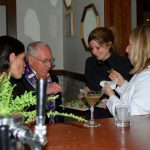 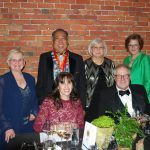 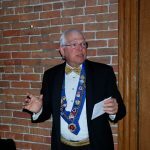 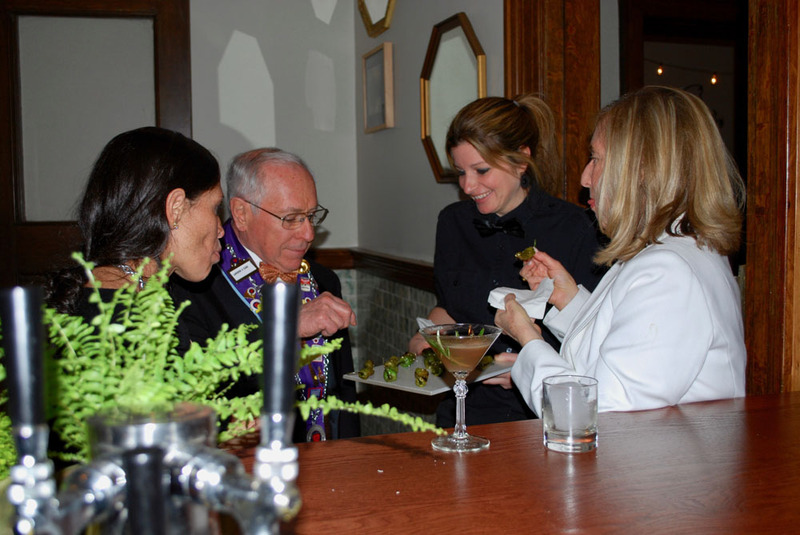 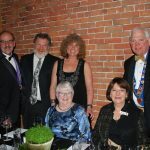 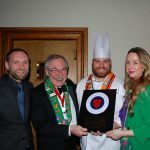 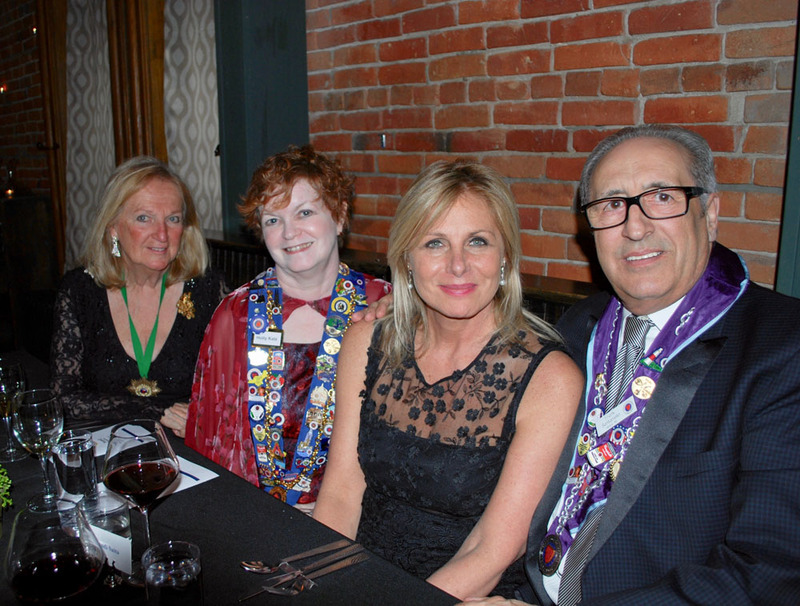 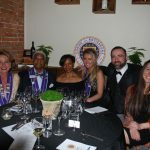 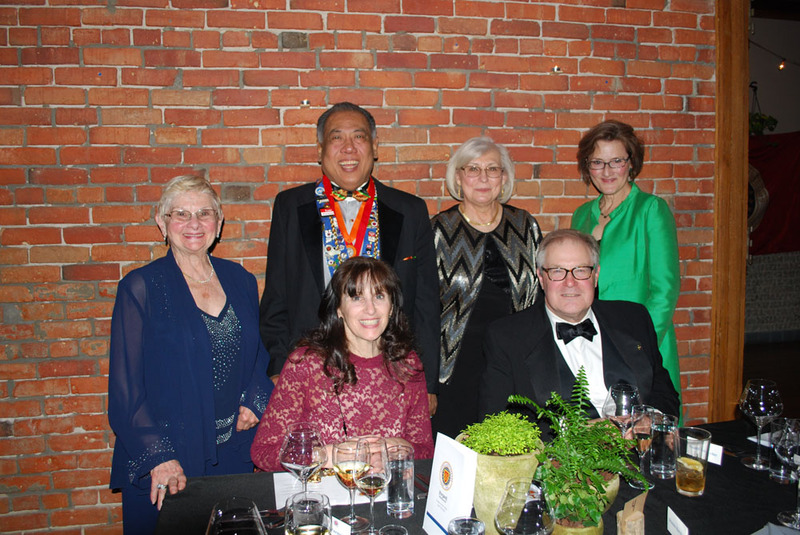 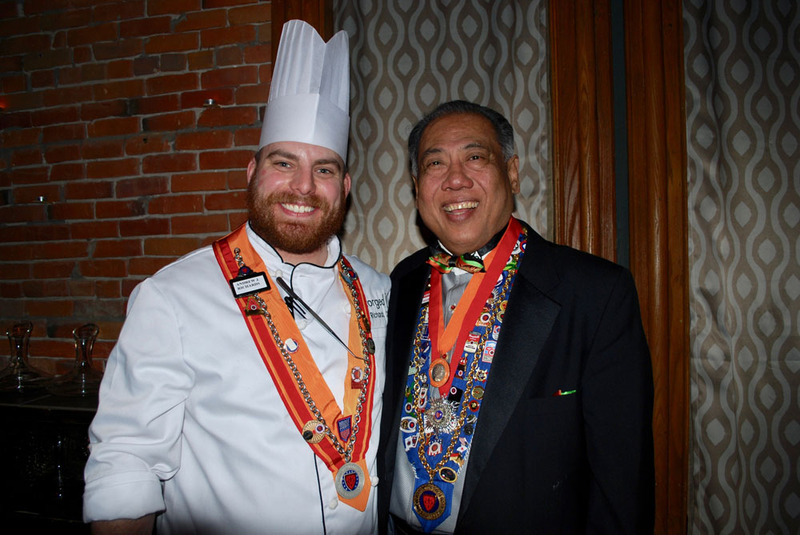 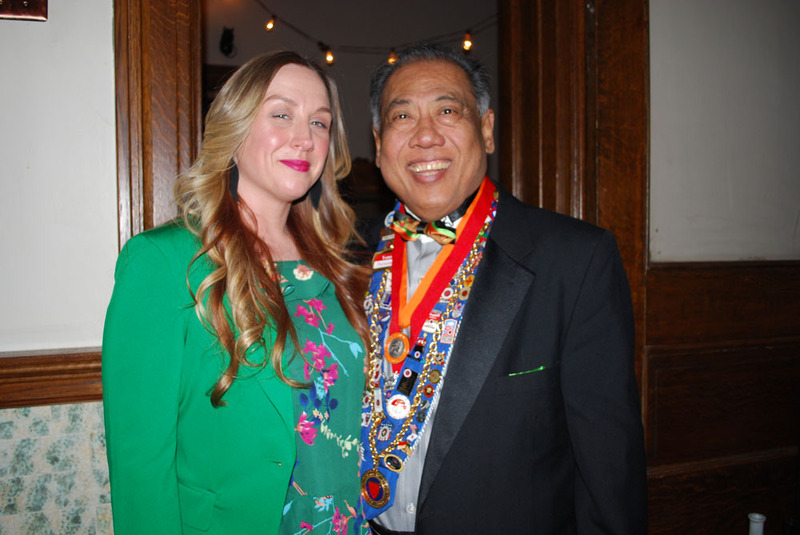 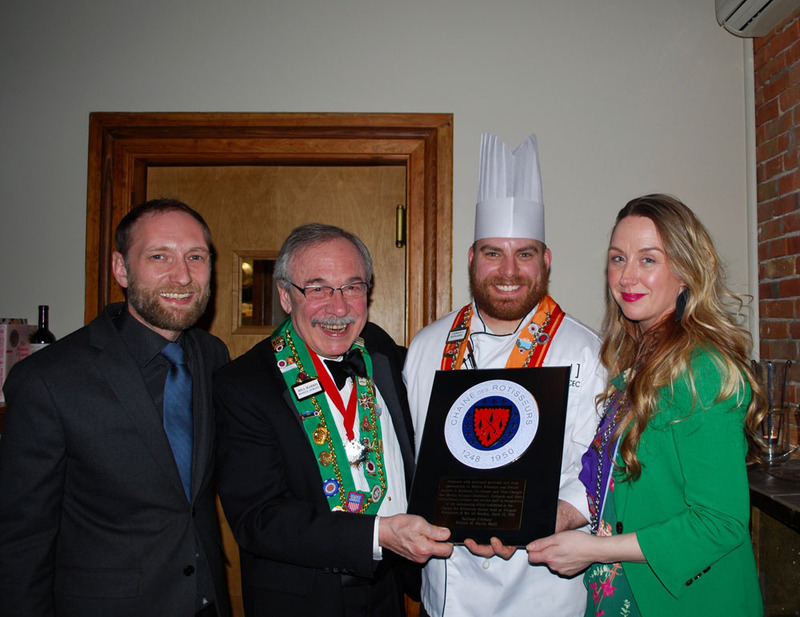 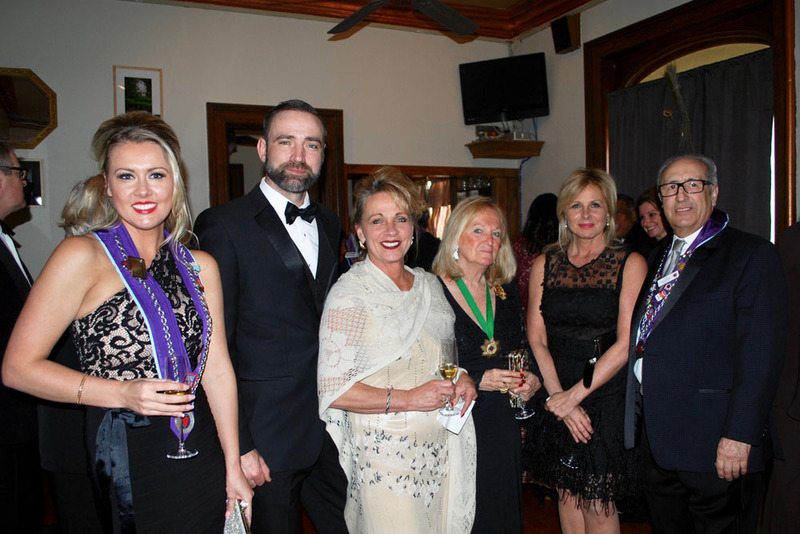 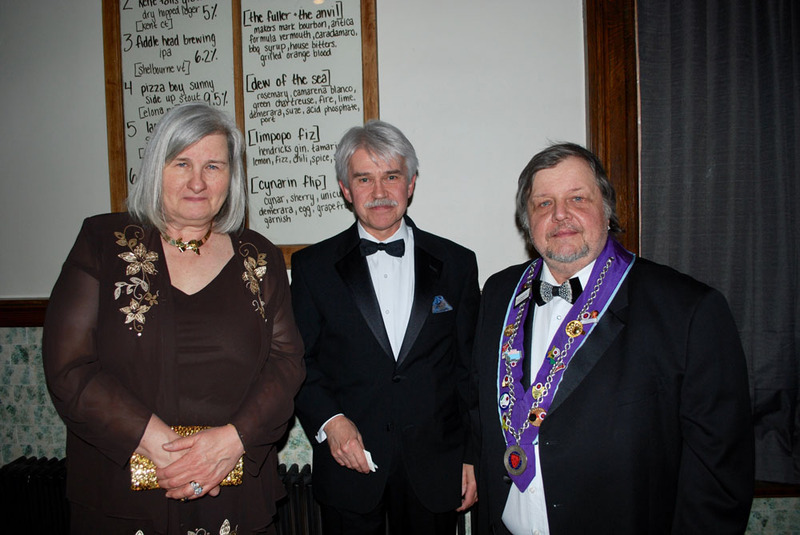 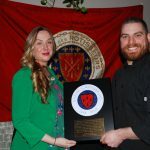 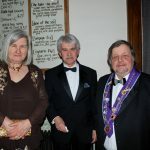 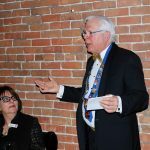 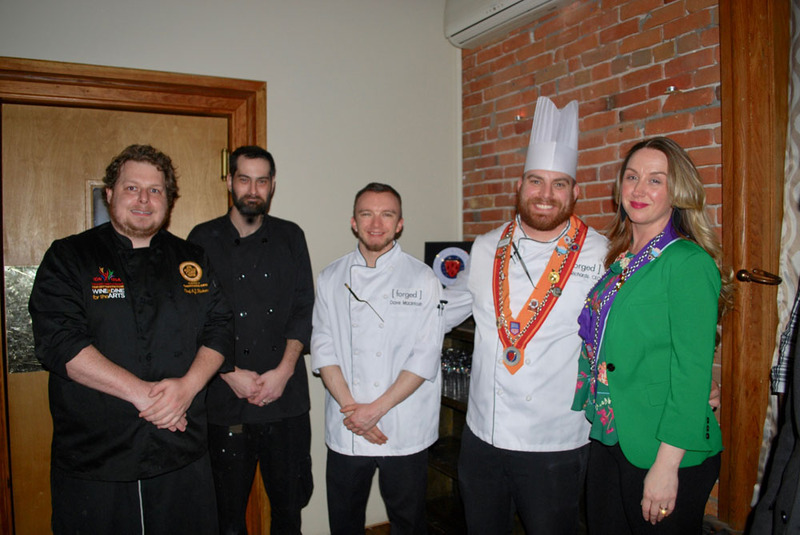 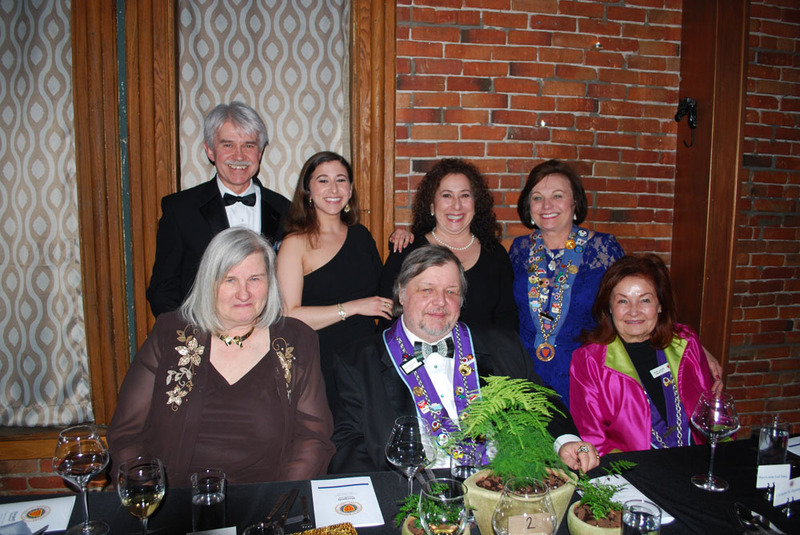 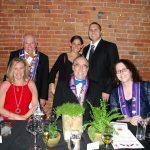 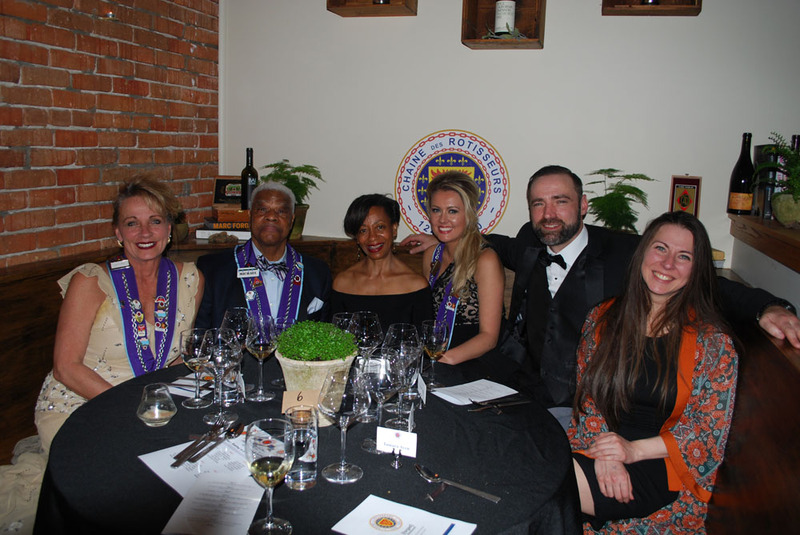 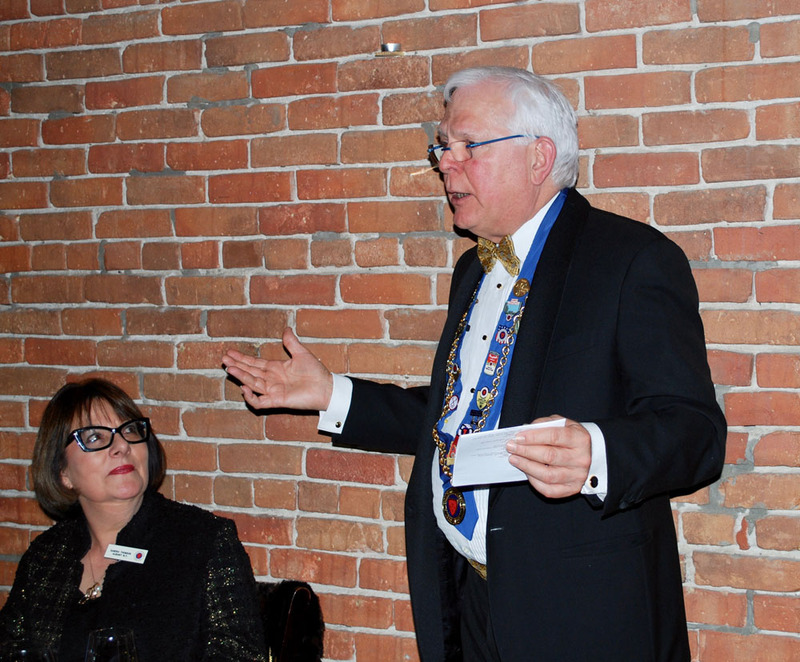 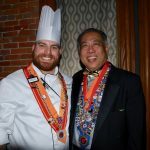 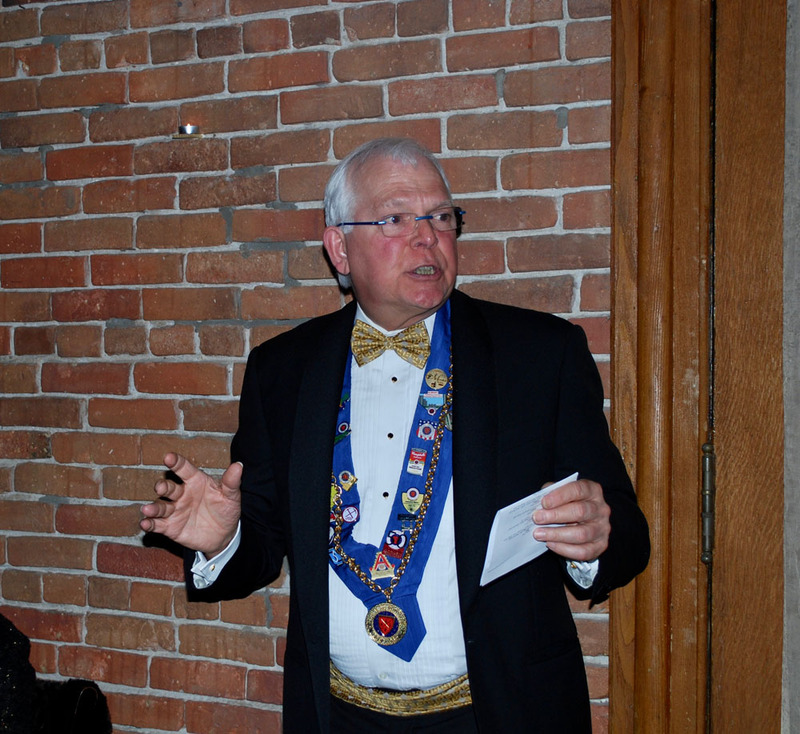 This was indeed the case when 37 Chaine members and guests enjoyed our April 22nd dinner at [forged] Restaurant in a markedly unique venue, namely Hudson Falls, a sleepy village of some 7,000 souls located about 50 miles north of Albany. 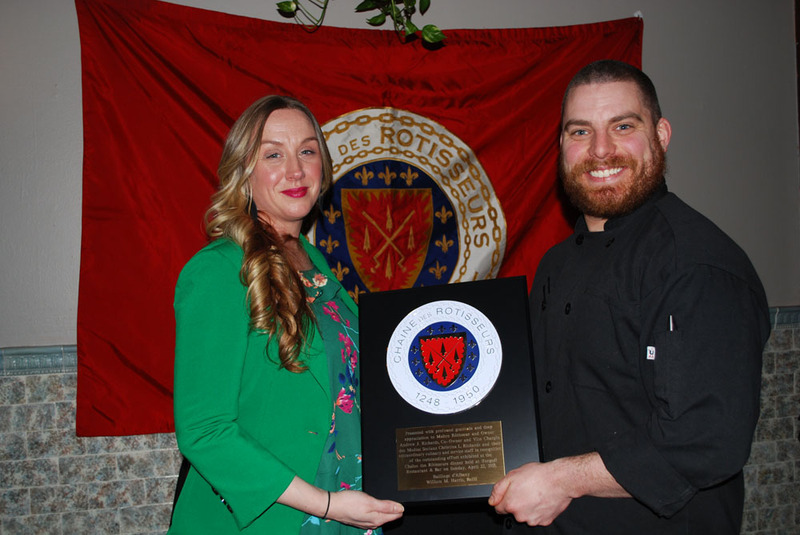 Vice Chargée de Médias Sociaux Christina L. Richards and Maître Rôtisseur Andrew J. Richards opened [forged] in the former courthouse in the center of the town less than a year ago. 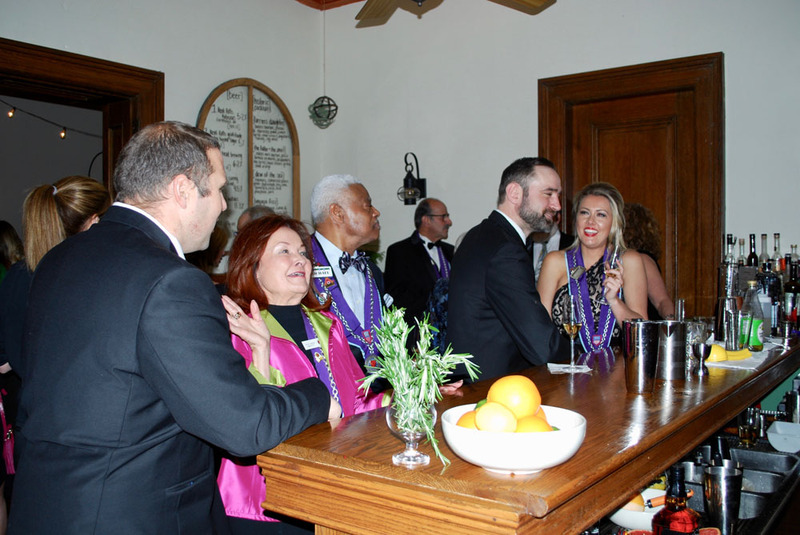 The lower level still sports the jail cells that housed the county’s ne’er do wells. 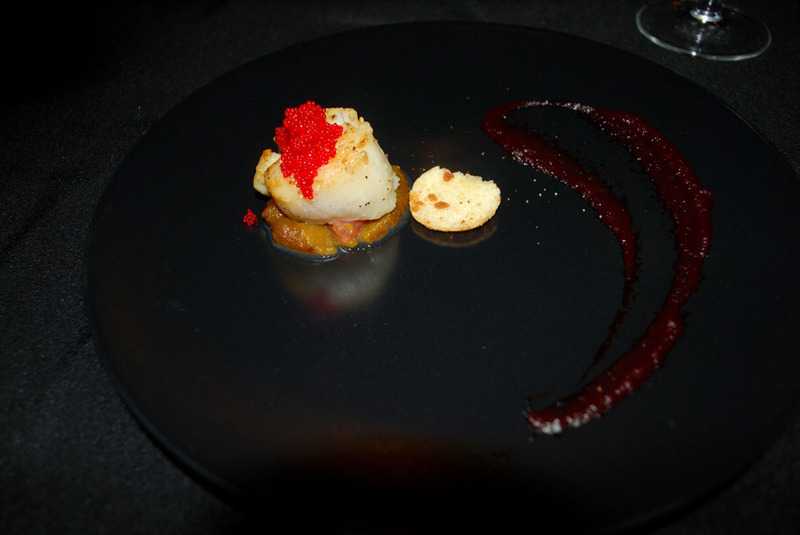 Chef AJ and Christina are true foodies and on their rare off days have dined at some of the best restaurants in the country, including Alinea, Daniel, Le Bernadin and Eleven Madison Park. 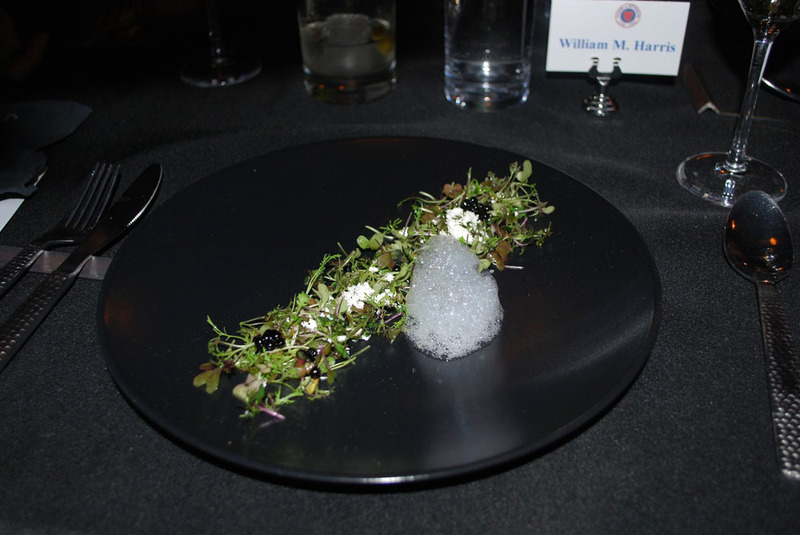 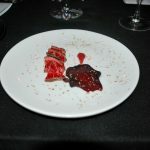 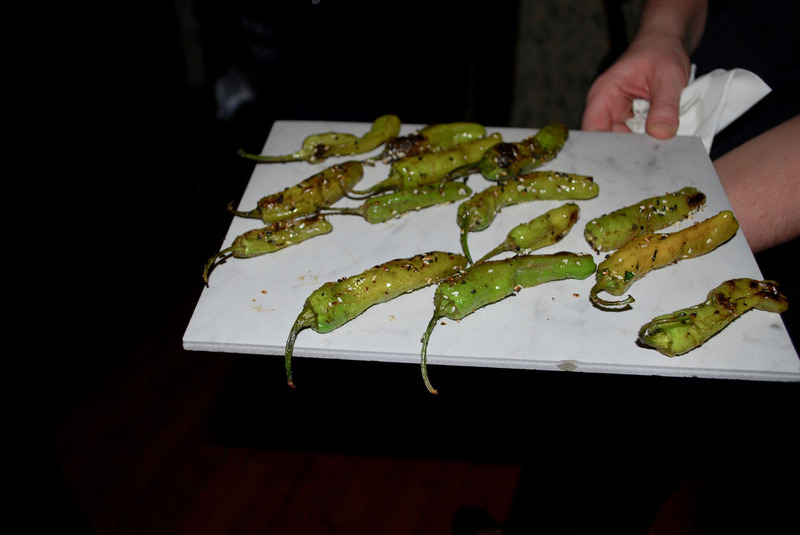 Chef Richards also worked under Grant Achatz at Alinea in Chicago and clearly benefited from that experience. 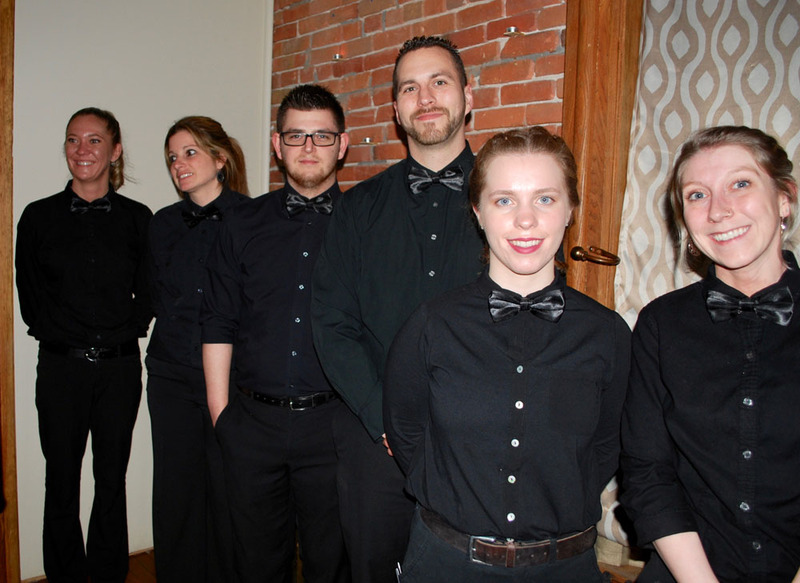 The couple went all out in the planning and execution of this special evening. 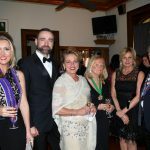 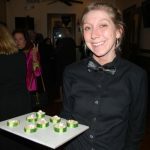 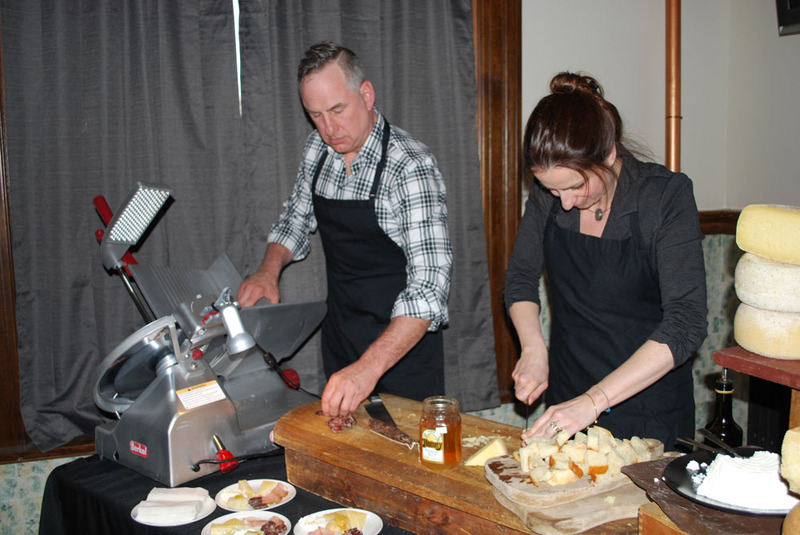 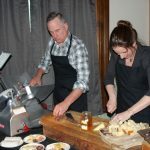 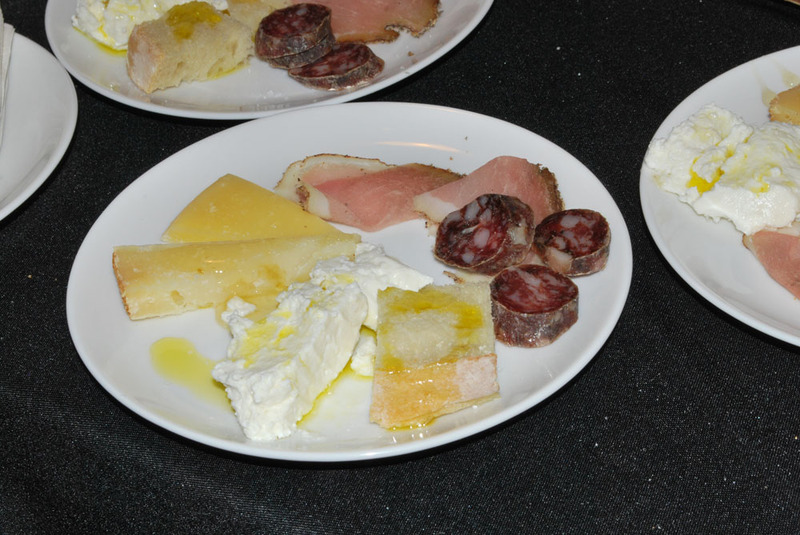 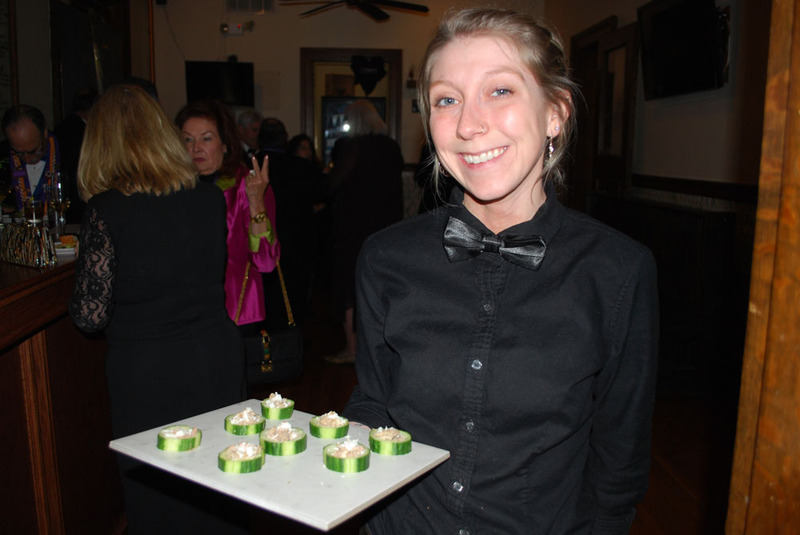 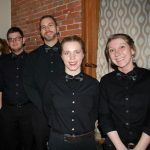 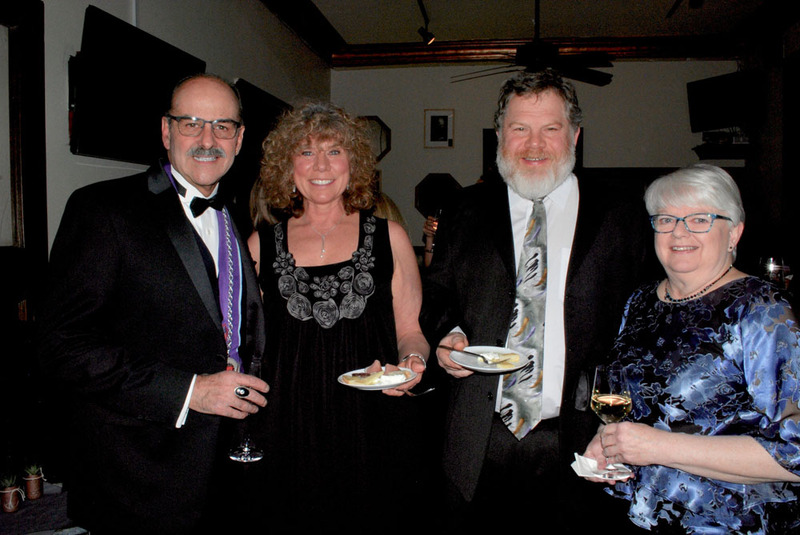 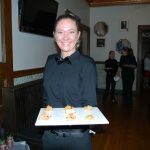 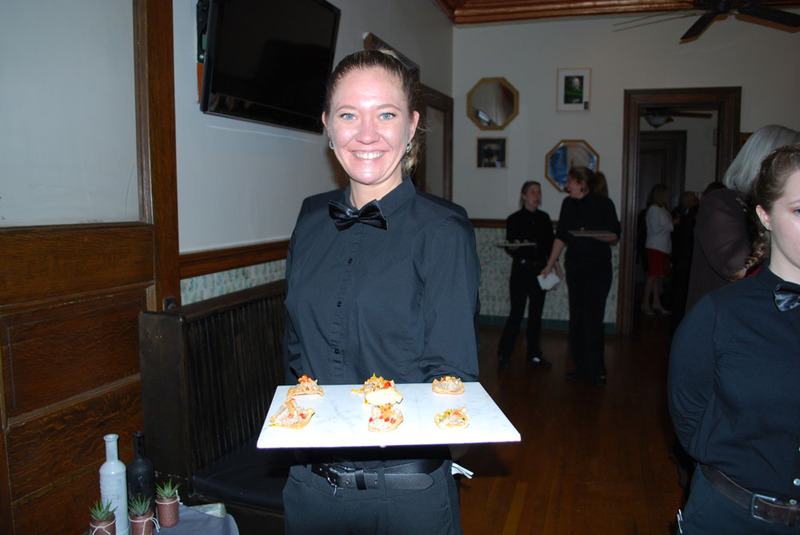 In addition to the many sumptuous butler passed hors d’oeuvres, we were treated to freshly carved charcuterie and specialty cheeses produced by Jody Somer and Luisa Scivola of Dancing Ewe Farm. 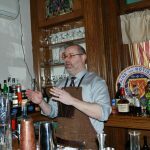 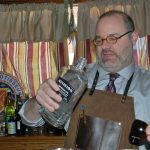 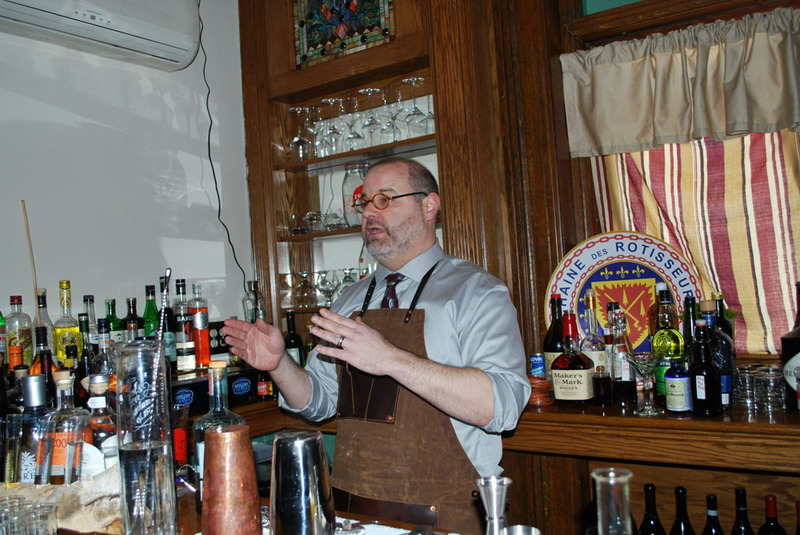 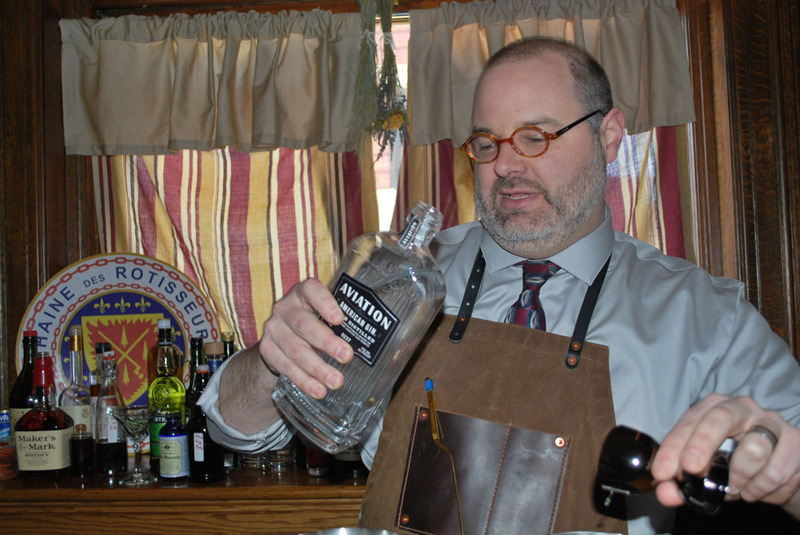 Also on hand was Mike Smith, a cocktail historian, who whipped up some amazing concoctions employing American gins and a French vermouth that was out of this world while he simultaneously regaled us with tales of how various cocktails were created and have evolved. 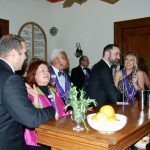 The reception Champagne was a 1980 Chateau St. Jean Brut Graton Cali Jeroboam. 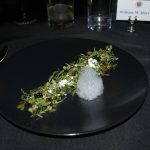 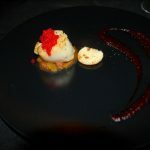 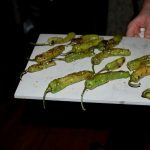 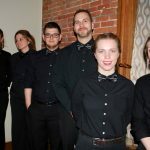 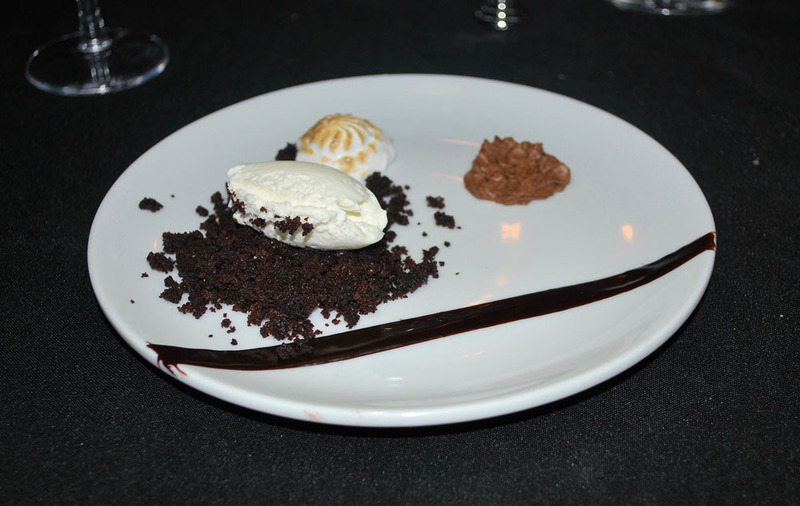 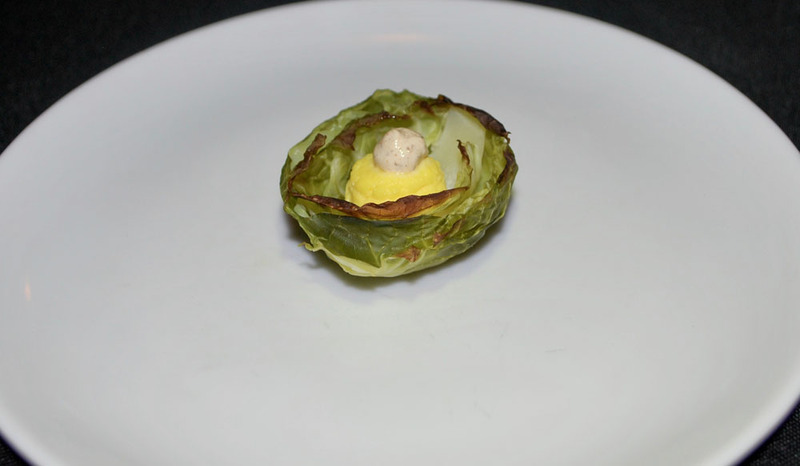 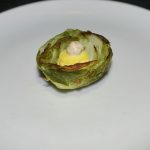 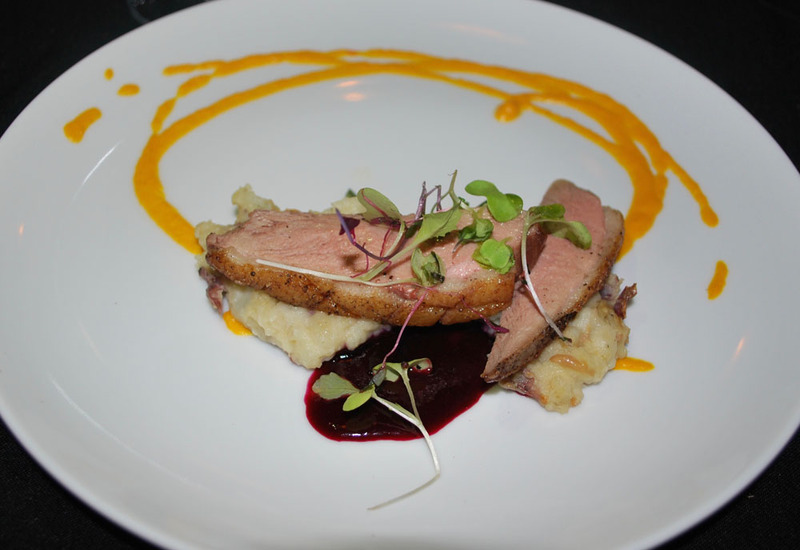 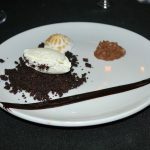 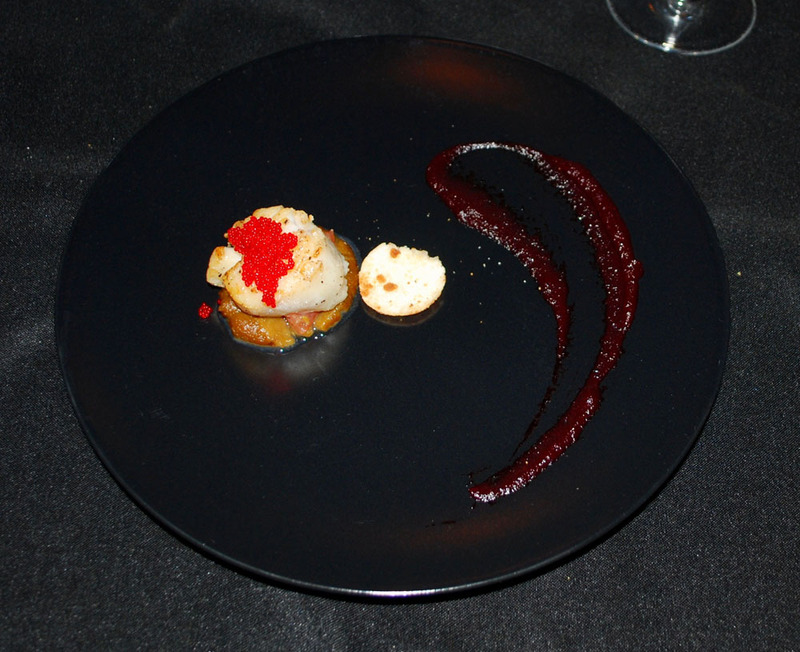 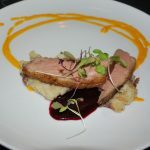 The complex nine-course dinner that followed contained multiple ingredients, flavor profiles and textures and it was evident that the Chef had spent many hours in formulating and executing the menu. 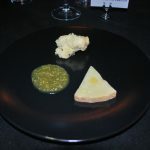 This was the only Chaîne dinner in my experience that had a bread course. 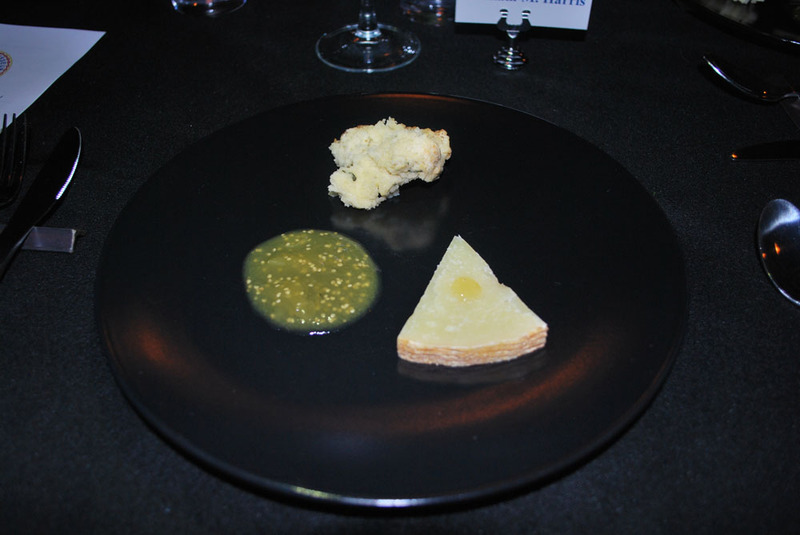 The bread was a sourdough produced with an eight-year-old starter and had wowed Master Chef Dale Miller (who is not easily impressed) at our tasting/pairing dinner. 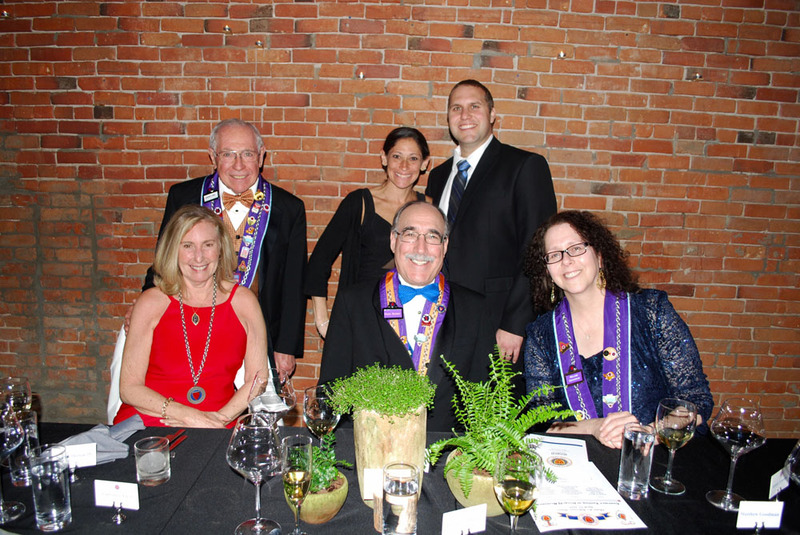 At the actual dinner, Officier Hon. 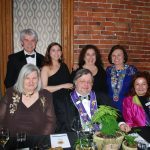 Joyce Tate and Vice Chargée de Missions Carmela Daubney each rose to sing its praises and Sandra Thomson without hesitation purchased a loaf to take home. 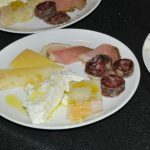 Most of the wines at the dinner were from the Chaîne cellar and included a 2011 Puligny-Montrachet from Legros, a 2005 Drouhin Gevrey Chambertin and a 2009 Produttori del Barbaresco Barbaresco that worked wonderfully (if surprisingly) well with the cheese course. 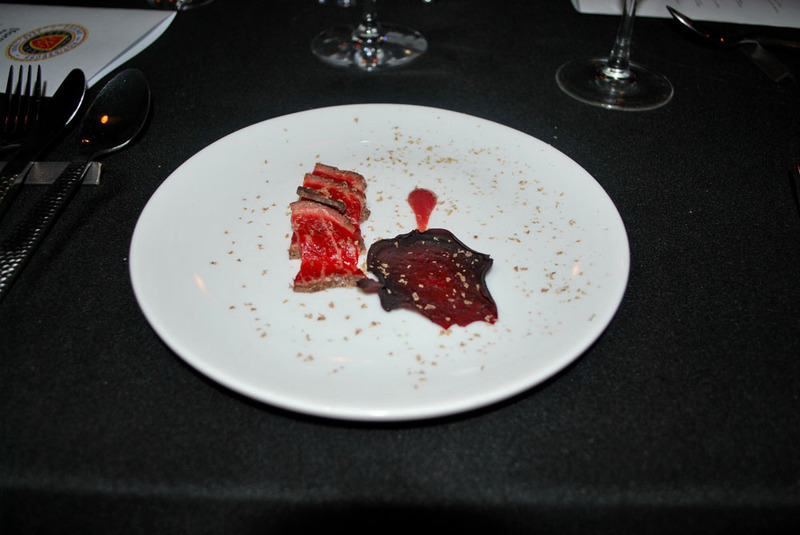 The star of the show, in my opinion, was the 2012 Clos du Mont-Olivet Chateauneuf du Pape “La Cuvee du Papet” that complemented the smoked prime NY strip course. 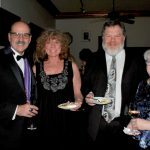 The wine was simply at its peak and I was obliged to request a refill. 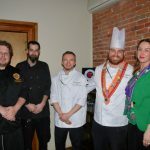 This dinner was a resounding success as evidenced by the thunderous applause bestowed upon Chef AJ, Christina and their team by our appreciative and knowledgeable group.